Oxymels are an ancient Greek drink used to administer medicine in a tasty way, with vinegar and honey (oxy meaning “acid” and mel being the honey). The combination of the two is really satisfying, not to mention healthy. 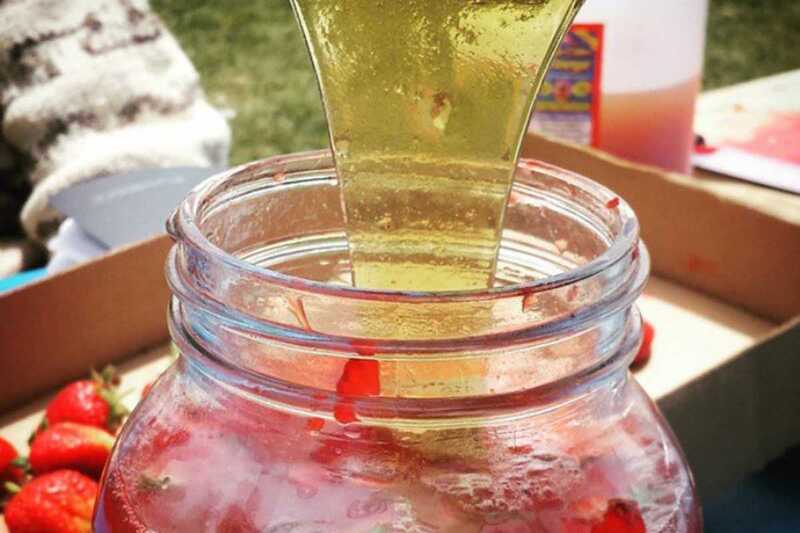 It’s an easy alternative to tinctures and teas and will pull out the medicinal extract in a different way, as honey and vinegar are able to extract different constituents than alcohol. Summer is the perfect time to make oxymels with fruit. Grab your favorite seasonal fruit at the market (I have tried both strawberries and blackberries) then grab a mason jar and chop it up, filling it until the jar is about a third full. Add a mix of raw apple cider vinegar and local honey, using a roughly equal ration. Shake well, then leave in a cold, dark space. After two weeks you can strain it out, add it to seltzer water, drizzle over a salad or mix in warm water as a tea.